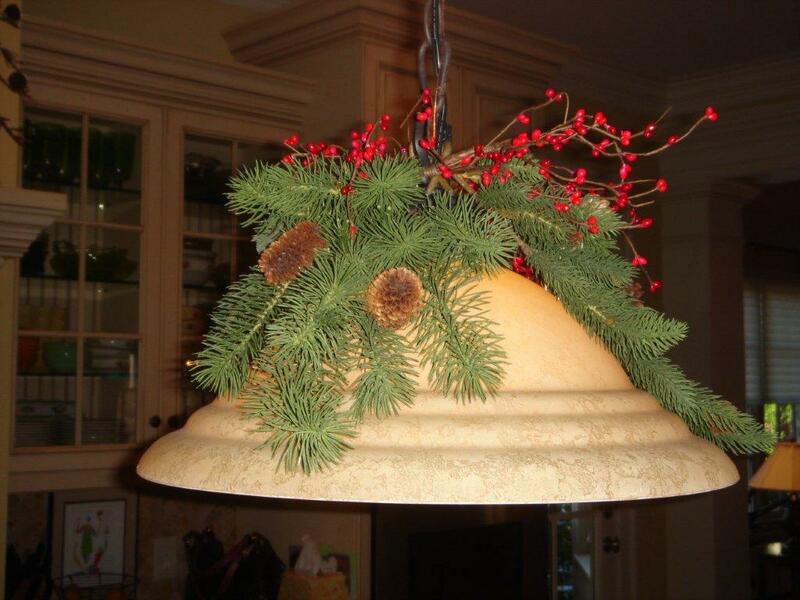 Here are some festive options for decorating light fixtures to sprinkle holiday décor through out your home. 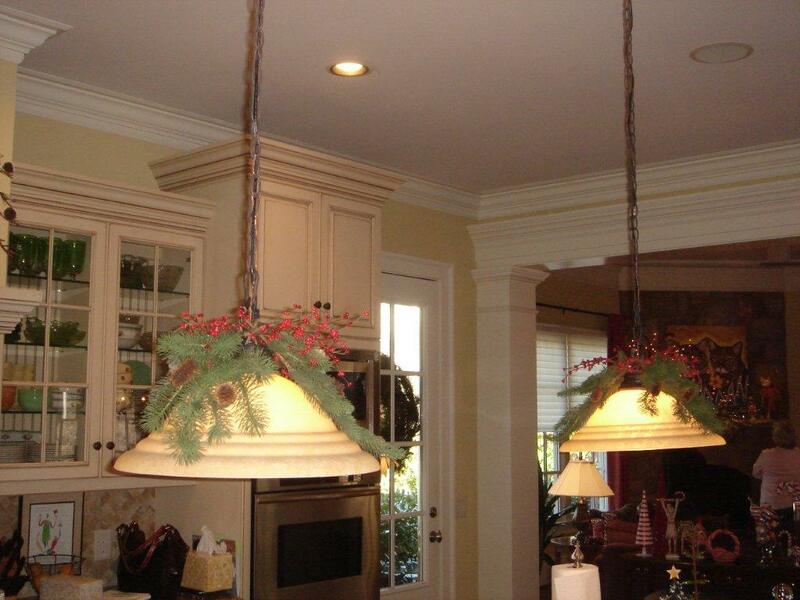 If you are too busy to deck the halls yourself, then give Cheryl Smith Associates a call. We offer full service holiday decorating for your home or office. 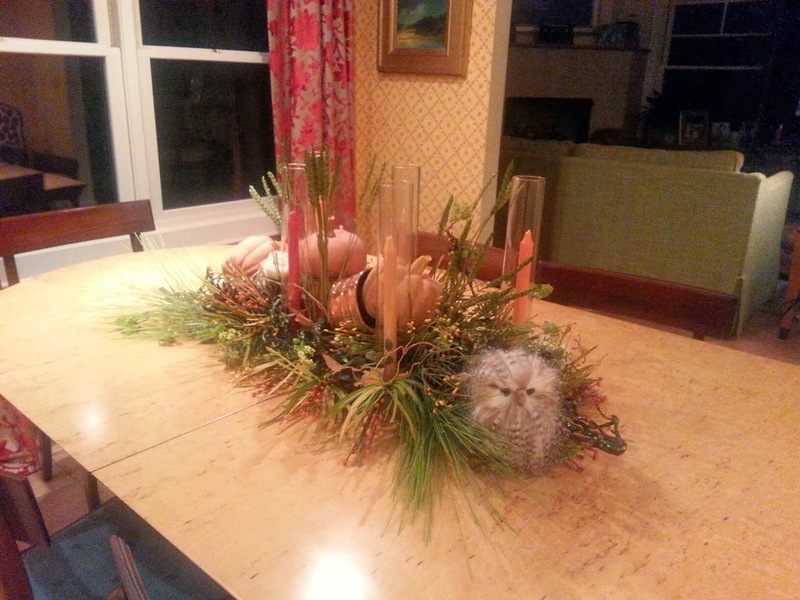 To make this festive Fall centerpiece, Cheryl used Styrofoam, glass tubes with candles, a stuffed owl (which seems to be a hot item this season), a really cute booty ornament, copper containers, pumpkins and lots of greenery in a bright lime color.